My first grader needs to work on her addition fact speed as part of her homework this month. We also have been talking about fire safety and today it occurred to me to combine the two–after all what better reason to go quickly than a fire? 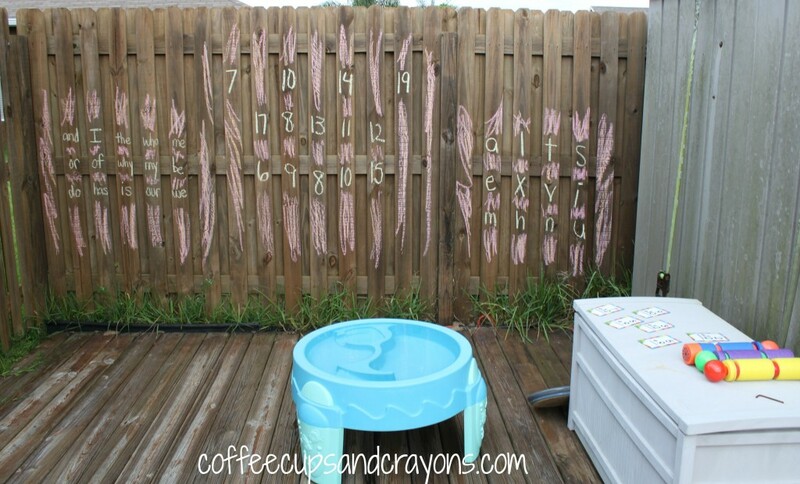 I wrote some of the sums the 6 year old was working on the fence with sidewalk chalk and drew flames around them. 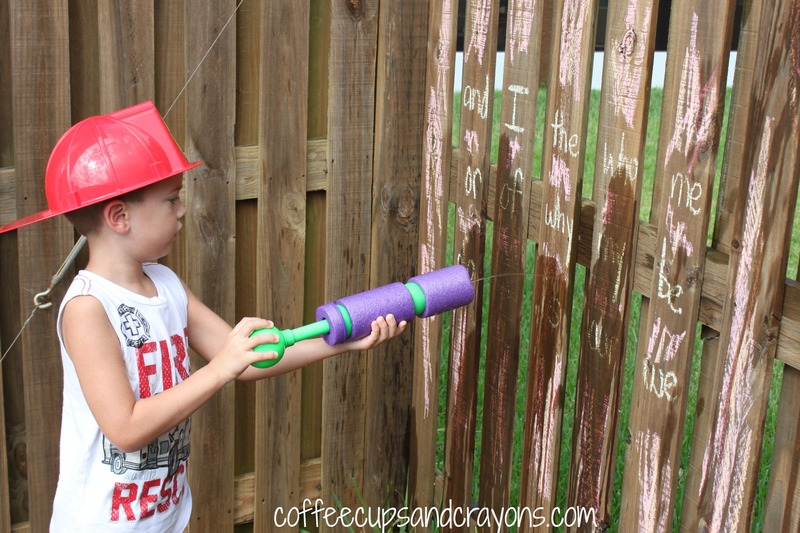 I also wrote letters and sight words in “flames” so my 2 and 4 year olds could play too. My first grader had lots of fun “putting out” the correct addition fact answers! 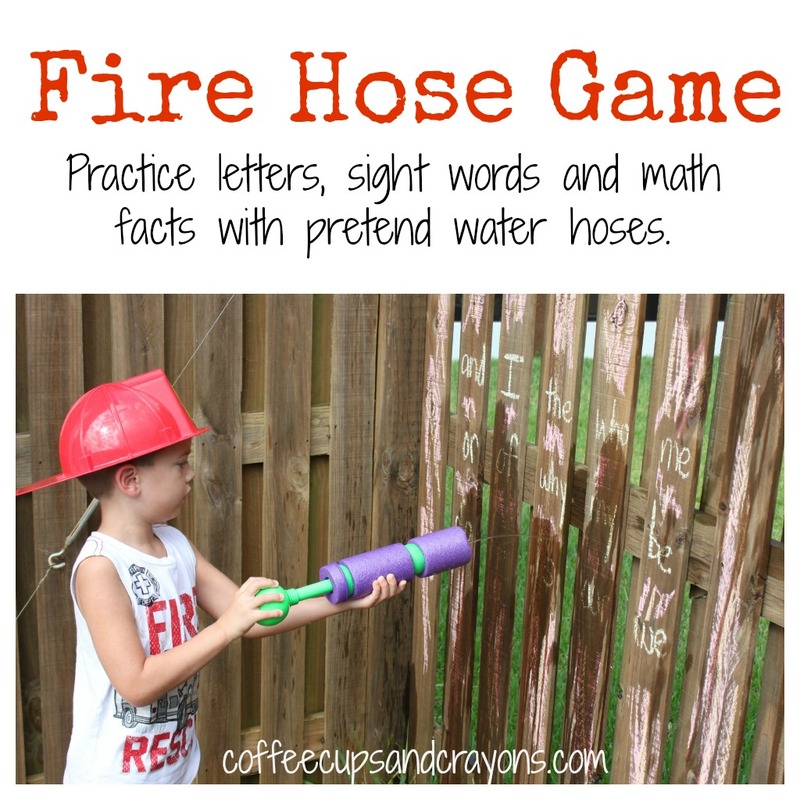 The 4 year old did a great job finding sight words to hose off! 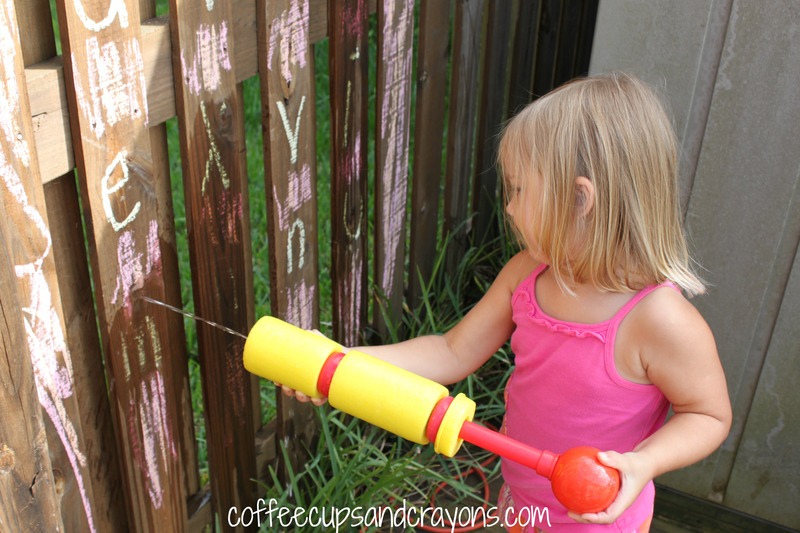 And the little one loved squirting the letters! Then when they were done they used their hoses to clean the rest of the flames off the fence. 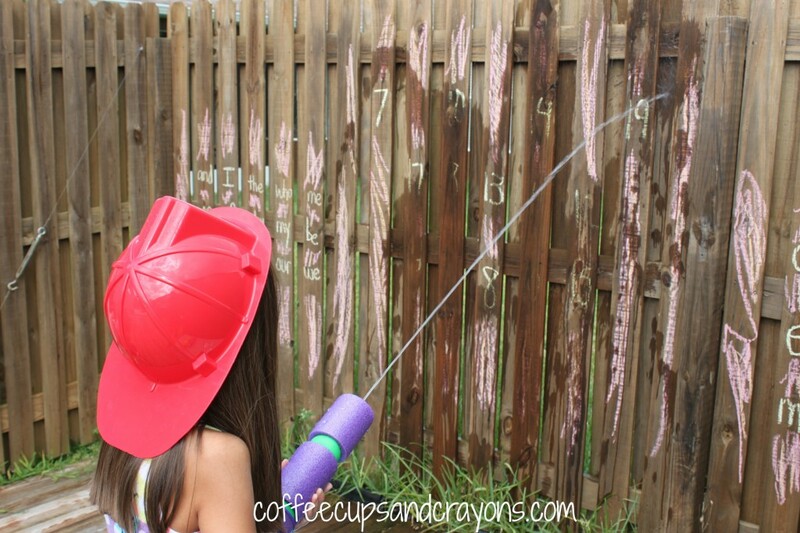 Definitely a great way to have fun while learning math facts! What do your kids like to do to memorize facts? 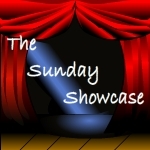 This is a new thing for my first grader and we will be looking for more fun ways to practice. 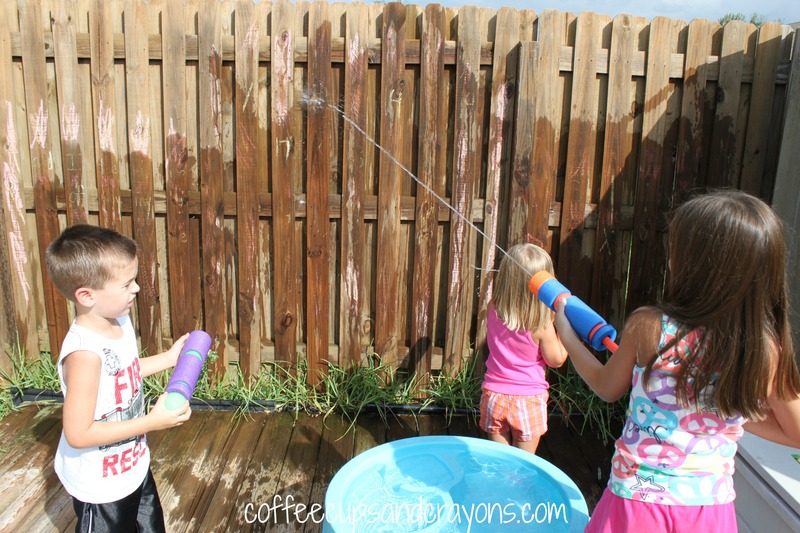 I love the fun ways you help your kids enjoy rote learning! Thanks Kendall! They have already asked to do it again!